The Cotton Floozy: Yes. It's Valentine's Day soon. Please don't make her cry. Yes. It's Valentine's Day soon. Please don't make her cry. The first Valentine's Day that Mr. Floozy and I shared, I spent crying. No. Not just crying. Blubbersobslobbering. Because I had never had been 'in a relationship' with a boy around that dreaded Ides of February, I was hysterically excited by the fact that I was a 19 year old bride and FINALLY HAD A VALENTINE. I gave the Flooze Dude a card and a chocolate in the morning, clearly impressing upon him the idea of 'gift-giving.' He did not pick up on it. And considering that I had always been so snarky about most sentimental things, he truly didn't believe that I wanted one. He couldn't figure out how I went from a perky 19-year-old wife in the morning to a swollen, splotchy, cankled 73-year-old hag in a mere 12 hours. Poor Mr. Floozy (still pretty much a child himself) went out to some opportunist kiosk and bought me a dozen roses. Yeah, it shut me up. And Mr. Floozy has never forgotten a Valentine's Day since! 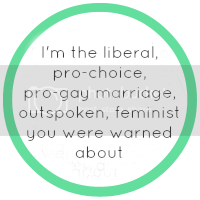 I feel that telling this story I have undone four decades worth of women's lib. SORRY. 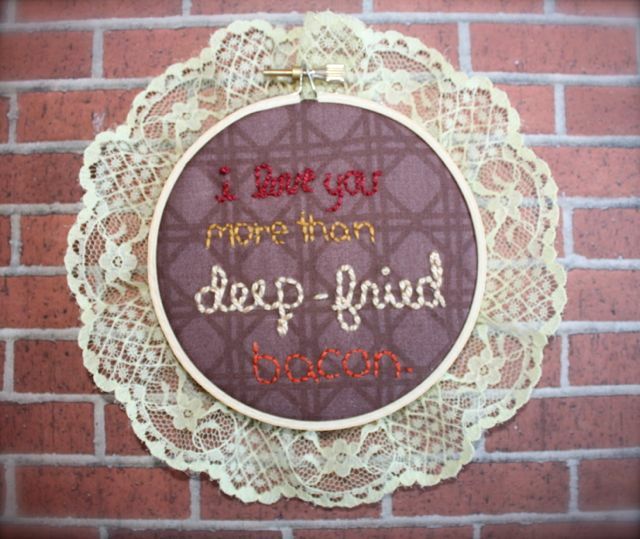 If any of you are afraid of making your boyfriend/girlfriend blubbersobslobber, fear not! 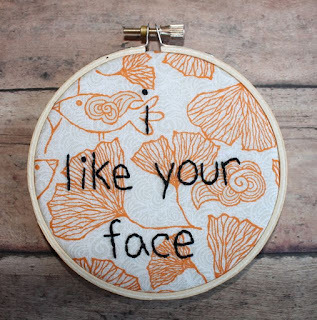 You can convo me at my Etsy store for a custom sampler. (I am going to start phasing out my Etsy store to only custom orders, btw.) Or you can head on over to Signed and Numbered if you live in the Salt Lake Area. They will be carrying a Valentine's Day Collection of Floozy Goodies. I will be dropping off my collection this weekend, so you should be safe anytime after that. Please. Don't make your child bride cry. 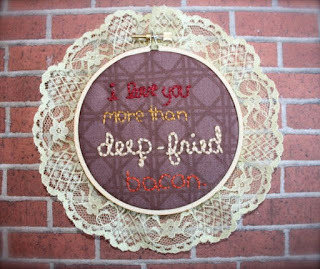 I love you more than deep-fried bacon. 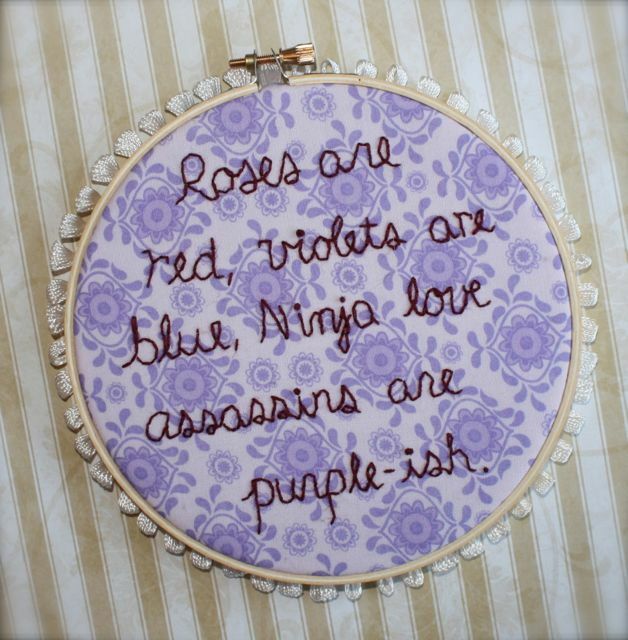 Roses are red, violets are blue, Ninja love assassins are purple-ish. Heya Brock! You better take care of your hon, or I will for you! ...okay ... that sounded way creepier than it should have. 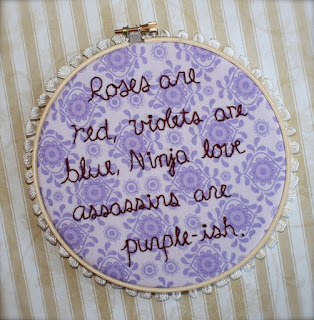 hahhahhah @ ninja love assassins! you poor child bride! I was married (the first time) during those 18-20 years and got a last-minute shoe organizer from Walgreens for V-day. I pretty much ignore it now.